Intriguing polystyle dancehall fusions from NYC export and Shadetek affiliate Jahdan Blakkamoore. 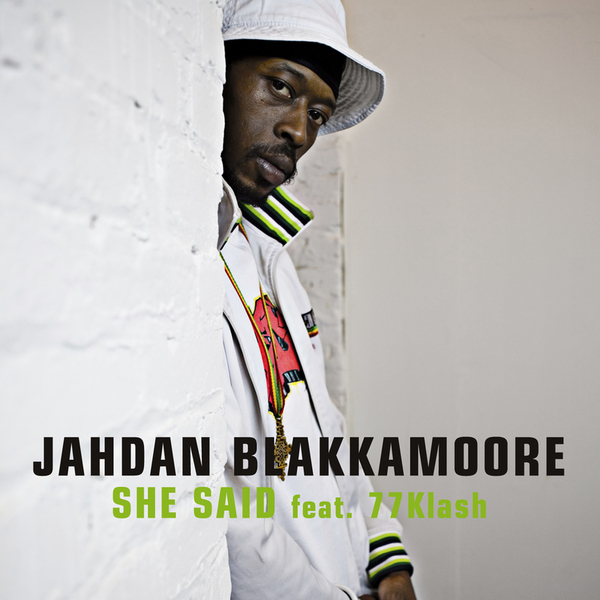 'She Said' sounds uncannily similar to the Turbulence anthem 'Notorious', running with a hyped-up double-time bassline and crunky Eurodance-infected synthline proviing the momentum for Blakkamoore and 77Klash's fast chat, like some moody offcut from the Major Lazer LP. 'The General' takes cues from dubstep and mixes them with a conscious rootsy vibe for a slow and heavy modern dancehall effect. Also comes with an instrumental version of 'She Said' for the digital DJs to get clever with. Any Diplo or Shadetek heads should be on this.